Opened in August 2002, Joliet's Splash Station Waterpark was a joint venture between the City of Joliet and the Joliet Park District. Former Empress Casino owner Horseshoe Gaming Corporation, and its chairman, Jack Binion, and current owner, Argosy Gaming Company, donated 20 acres of land to the City of Joliet and Joliet Park District. 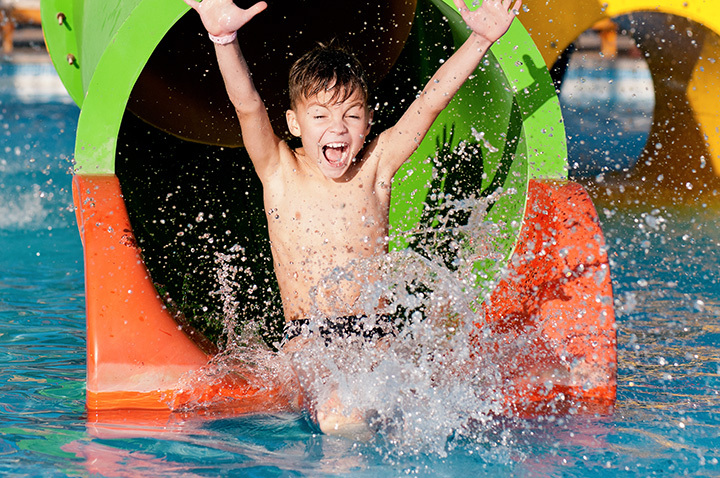 "This Donation was crucial to the development of the water park," said Ronald Dodd, Executive Director of the Joliet Park District. "We are truly grateful for the support from these organizations." Splash Station's site was originally a gravel strip mining operation dating back to 1903. A railroad line moved the gravel across the property along U.S. Route 6 for processing; therefore, the railroad motif for the park was developed. This former gravel strip mine is now an exciting entertainment destination accommodating 2600 visitors daily. The historic railroad theme is apparent everywhere from the bathhouse designed to resemble a train depot, to signs directing visitors to attractions.